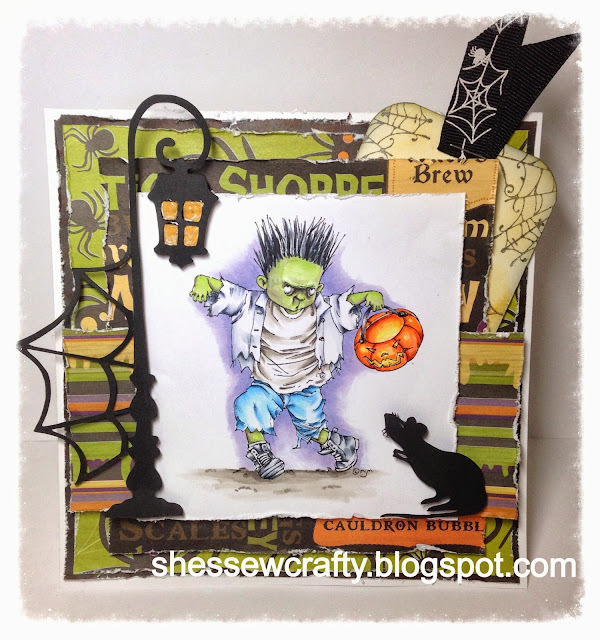 Today I am sharing a card I have made for my nephew for Halloween. Zombified from Mo's Digital Pencil is such a perfect image for a boy. Don't all boys play at being a zombie at some point?! I used my Silhouette for a lot of the die cuts. I made a tag with "Trick or Treat" stamped on it and stapled some spider web ribbon on to it. The paper is old stuff from my stash. This is really cute. Super fun. I have those designer papers too! I have used and used them. They are really great papers to work with. Wow it's stunning Halloween !